I’ve mentioned before that I often have my students work in groups when we do writing. They learn from each other, help each other, and resist writing less. Another benefit is it’s less grading and/or critiquing for me! My “old way” was to have the students write their final product on a transparency. We’d project it and discuss it as a class. Then, the 1980’s called and wanted their technology back. Enter Google docs! 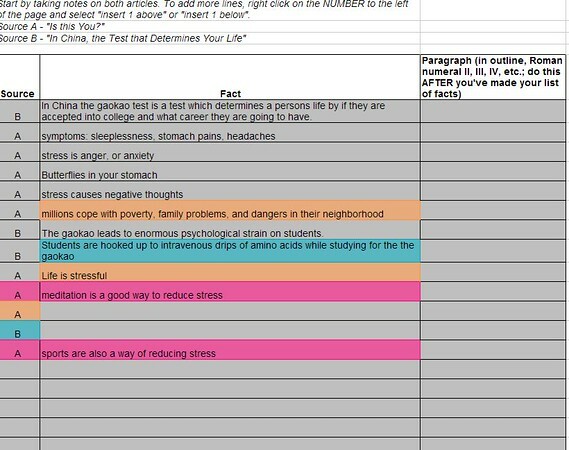 It has taken some trial and error, but I’ve made some big improvements in using collaborative docs for outlines and essays. First, let me explain the activity I was doing here. A big skill in Common Core writing is pulling facts from multiple sources and combining those facts to write an essay. 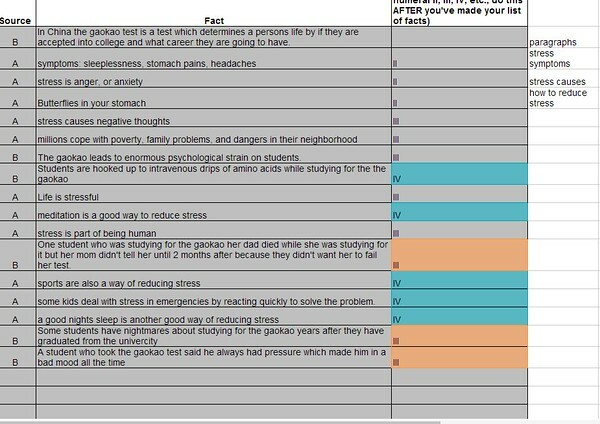 It is hard for kids to find relevant facts, but it’s even harder for them to look at that big overwhelming list of facts and then organize them into paragraphs with a main idea. 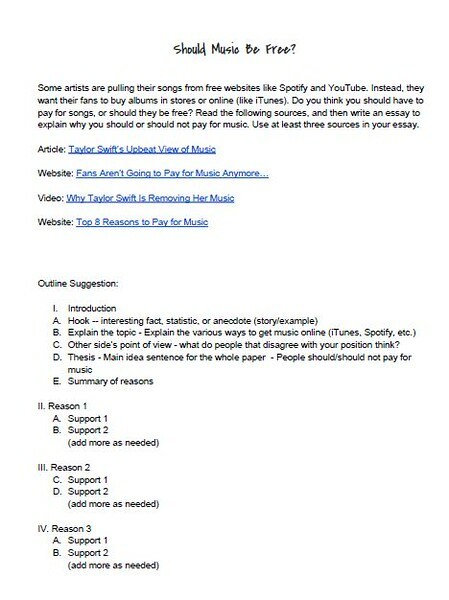 Before doing this assignment, we’d already practiced this skill once as a whole class and once in groups. What they had to do was read two articles from Scope magazine. Every month, Scope has paired texts, which are two different types of texts on the same topic. For the PARCC test, they will need to read 3-4 texts, and the texts will be much more complex (Scope is high-interest, low level), but this is a good activity to practice the skill. If I tried to practice this skill with difficult and/or not interesting texts, I’d lose them. With their groups, they had to take notes on both sources, decide how to sort the facts into paragraphs, and then create an outline. After I checked their outline, they were ready to type the essay. 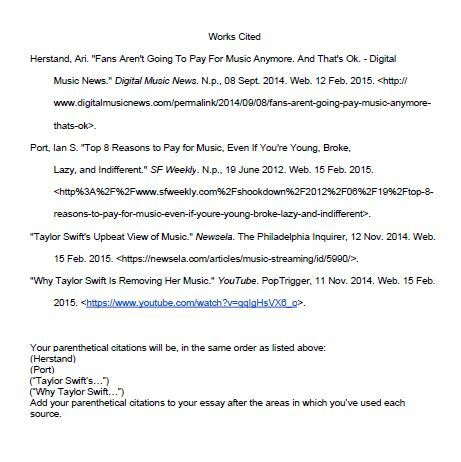 The essay itself actually doesn’t take that long because each group member only has to write 1-2 paragraphs. Problem #1: Unequal distribution of work – Isn’t this the most common complaint of working in a group, both of teachers and students? (who are we kidding…it’s a common complaint in the professional world, too). With Google docs, I can easily see who did what using the “revision history” feature. Each group member is assigned a color, which is listed next to their name in the revision history box. I can see who typed which cell. At this point, this group was taking notes on the articles. 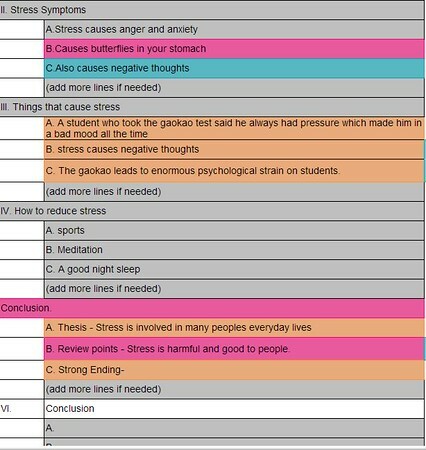 They gray cells were already filled in at the point of this revision; the colors are the changes made. Once their facts were finished, they figured out what their paragraphs would be about and they were using Roman numerals to label their facts. The “pink” student was not helping here. 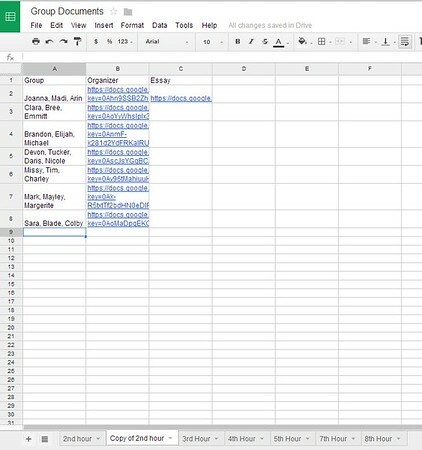 By the way, I made this basic spreadsheet for them with the outline on it and they had to make a copy of it for their group. Now, they are working on their outline. “Pink” is back in action. Problem #2: Off-topic chatting. When we are working on a document, I have my students all have their own computer even if they sit together. This helps them all stay focused. For some projects, they never sit by their partner(s). For this particular assignment, they sat together the first day. The following days, they stayed in their own seats and used the chat feature to communicate. 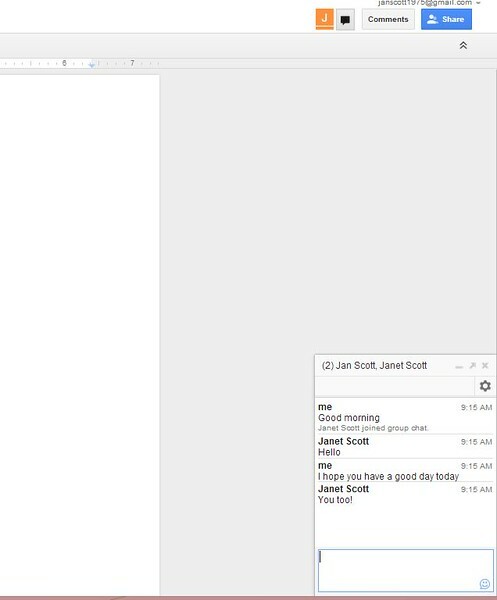 When you have more than one person in a document, a little “chat” icon shows up in the top-right. Here I am, chatting with myself between my school account and my personal account. 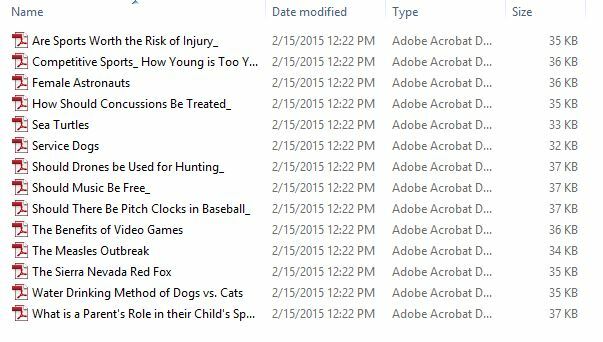 During class, I open all of the groups’ documents on my computer and leave them open. I don’t watch them much during class–I typically walk around. I do look over their shoulders at their chats somewhat, especially if I see too much text in the chat window and not enough on the document. When class is over, I scroll through each group’s chat to make sure it was polite and related to the assignment. On Tuesday and Wednesday this week, I was at a conference in Springfield. While at the conference, I opened all of their documents and watched their chats from three hours away. Teaching from afar! 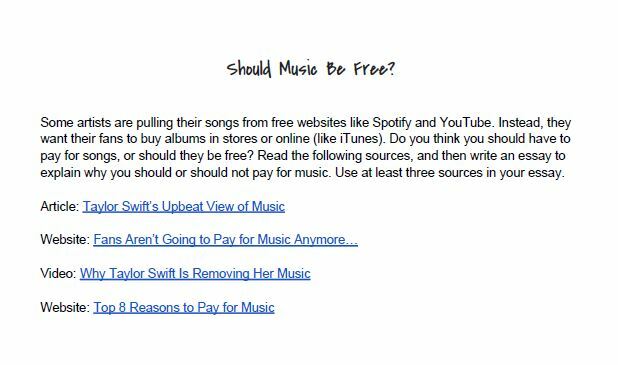 Have you ever done collaborative work on a Google doc? Do you think you’d like doing a group project this way? Do you consider yourself a good Googler? I have given myself the title of “Google Queen” at work because I think I can find almost anything on the internet. I really wish I had the same skills when looking for lost items at home… anyhow, here are some tips for Google searching like a pro. 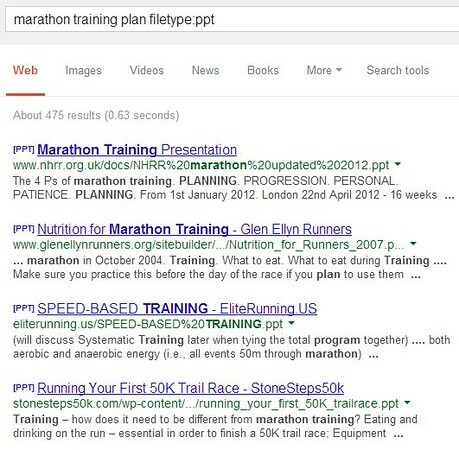 Tip #2 – Use “vs” to figure out items comparable to what you are searching for. 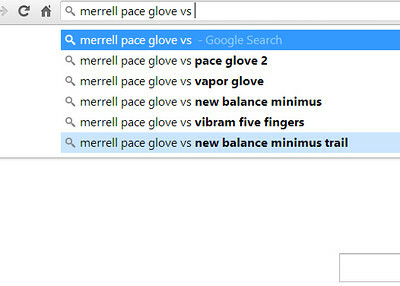 For example, if I type “Merrell Pace Glove vs” in the search box, Google will autocomplete with items that are similar. 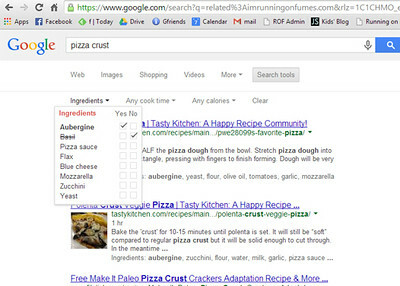 Tip #3 – Use the “-” sign to search for a site without a given word. 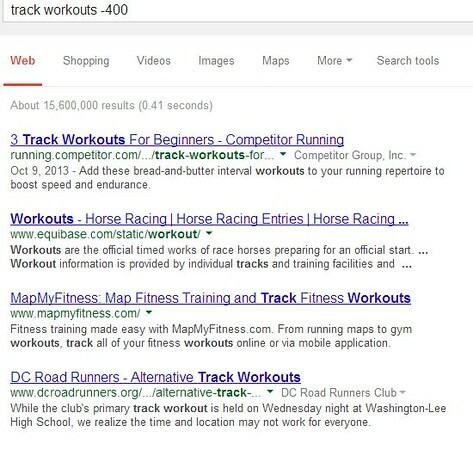 Searching for “track workouts -400” will bring up only pages with “track workouts” but not any that also have “400” (because everyone hates 400’s right?). Tip #4 – Use quotation marks to show that insignificant words are a required part of the search term, such as “the”, “how”, “when” or “and”. Google automatically ignores these types of words when search to speed up the search. 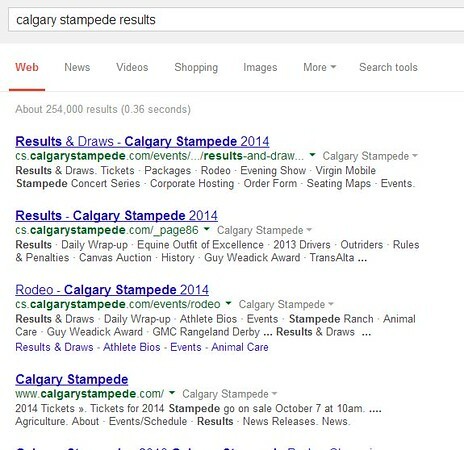 Tip #5 – Search within a site by using “site:”. Here are the results for trail run site:imrunningonfumes.com. 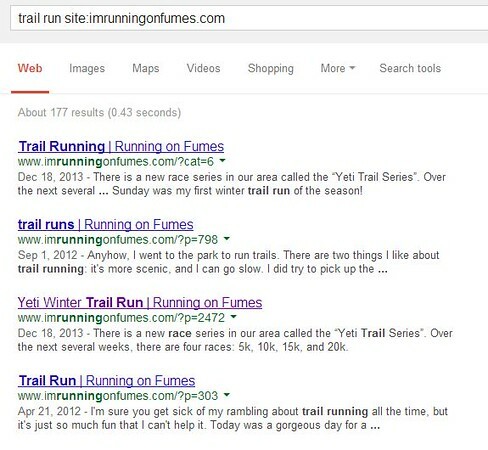 It searched only my website for “trail run”. 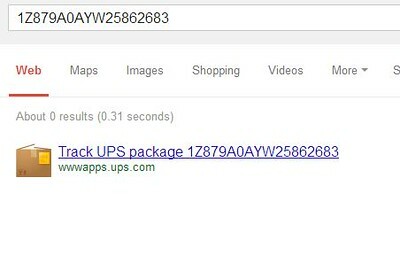 Tip #6 – Track your packages by typing a tracking number right into the Google search box. 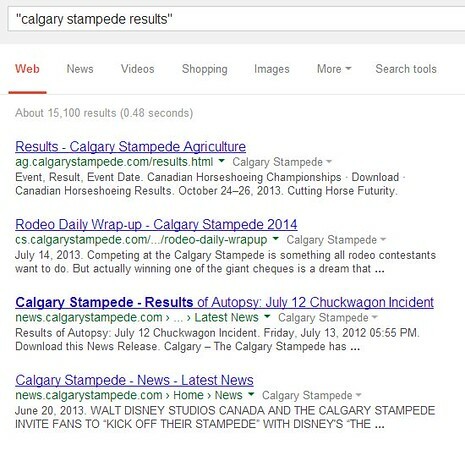 Tip #7 – Find related websites by starting your search with “related:”. 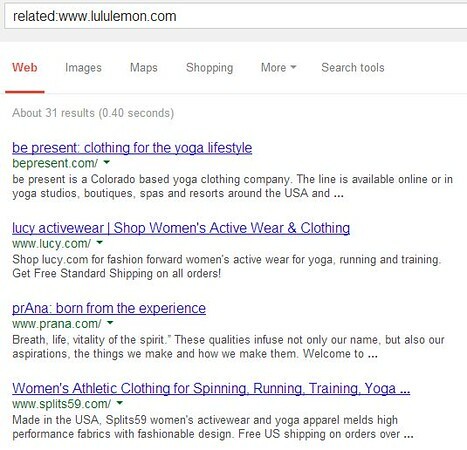 I found sites similar to Lululemon by typing in “related:www.lululemon.com”. The search tools button will change based on what you search for. 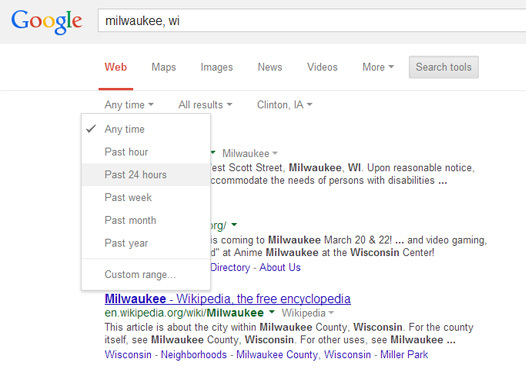 Here, you could search for websites with Milwaukee, WI in the past 24 hours. 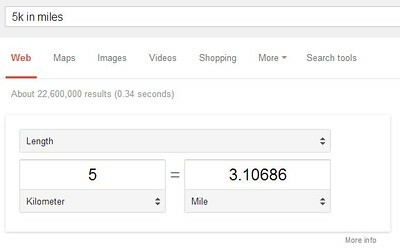 Tip #9 – Find measurement conversions by typing in the information you have and the information you need, such as “5k in miles”. This works for currency, time, and pretty much any conversion. Tip #10 – Search for synonyms using the “~” symbol. 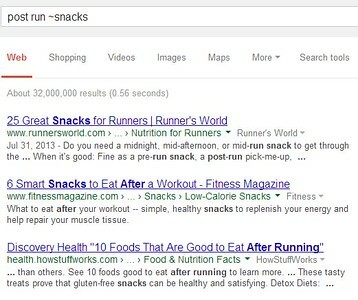 Here, I’ve searched for “post run ~snacks”. The results include both “snacks” and synonyms for snacks. Tip #11 – Do pretty much any math problem. Of course, don’t forget about the basic tools across the top, like “maps”, “shopping”, etc. 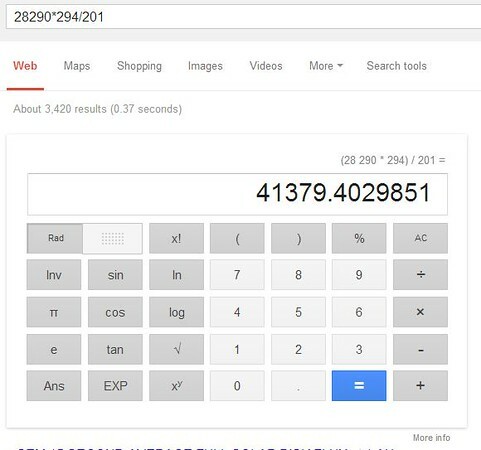 You really can find almost anything by Googling! Do you have a tip I left off? Share it in the comments!